Shockingly, Bungie veteran Martin O'Donnel has been fired from Bungie, seemingly for no reason. The news arrived at 10:28 PM PST on April 15, when Martin tweeted that Bungie's board of directors had terminated his contract "I'm saddened to say that Bungie's board of directors terminated me without cause on April 11, 2014." "For more than a decade, Marty O’Donnell filled our worlds with unforgettable sounds and soundtracks, and left an indelible mark on our fans. Today, as friends, we say goodbye. We know that wherever his journey takes him, he will always have a bright and hopeful future. We wish him luck in all his future endeavors." This is certainly a different message, and it only created more questions than it answered. One look at the Bungie forums and you'll see that most, if not all discussions are centered around Martin. Being that Martin has been with the company for 14 years, starting with Myth: The Fallen Lords in 1997, and that he went on to compose the legendary soundtracks to all Bungie's Halo games, it's certainly expected that this very silent departure is causing controversy. Granted, it's likely that both parties are bound by a nondisclosure agreement, so we may never get the full story. Regardless, this is a very peculiar turn of events for the former Halo developer. 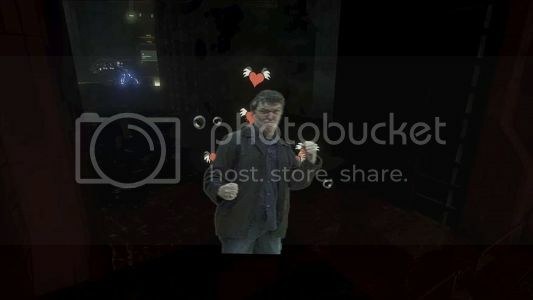 Watching behind-the-scenes videos on the development of Bungie's Halo games, it's clear that Martin was very appreciated in the studio and was very friendly, which adds even more mystery to the already very questionable action. This also follows on the heels of fellow veteran Joseph Staten, writer of Halo: CE through ODST, as well as Destiny, the company's upcoming title, leaving the company. While Joe's departure wasn't nearly as mysterious, it is very concerning that these key figures at Bungie are no longer with the company. It almost echoes the Infinity Ward debacle that followed Modern Warfare 2's release, where Activision fired the two heads of the company and caused the departure of 46 more employees. Being that Activision has now acquired Bungie, perhaps this isn't so much Bungie's doing. Joseph Staten did return to Microsoft Studios, though, leading some to believe he will also return to working on Halo once again. Perhaps Martin O'Donnel will follow suit. What do you speculate is really happening?